I have a borderline obsessive need for organization. It makes everything run that much smoother. When everything has a place, it's easier to keep things clean! Those cube storage shelves (from Target, Lowes etc.) are pretty handy and don't look too bad for "cheap" decor/furniture. I did a minor little revamp in the kids school/art room. I needed more storage. I don't like leaving anything that could cause a potential disaster or be dangerous to the little ones, out in the open. Everything needs a place! 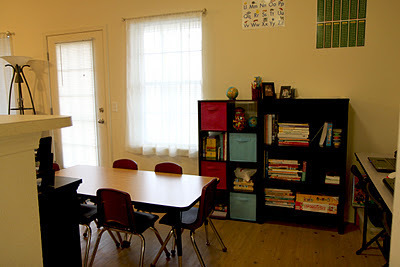 Here is the school/art room! It's nothing fancy, but it's really great for the kids! There are still some things I plan to do with the room, but I am happy with it so far. I love the canvas drawers/bins so much. Really. This stuff makes me happy LOL. We love those fabric Target boxes. They're our favorite toy organizers. Once we finish building out entertainment center in the playroom, I'll share pictures. The whole bottom of it is cubes for holding containers. They really are so convenient, especially with kids! 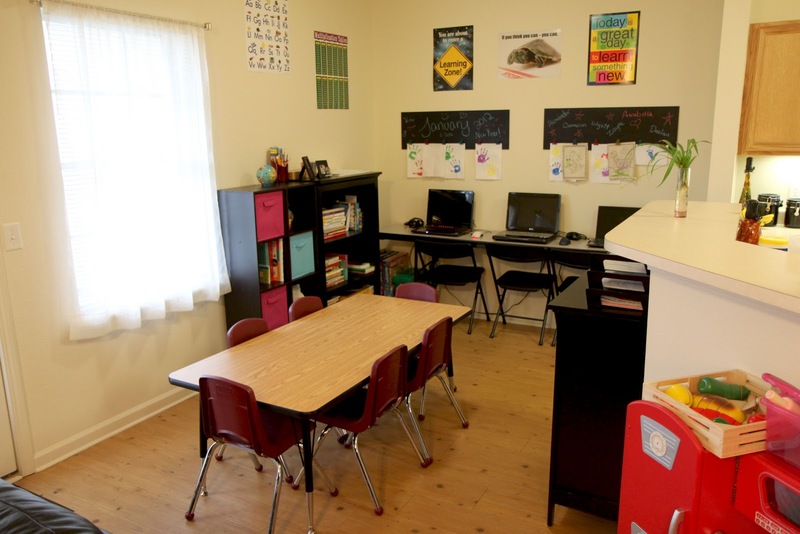 I love seeing pictures of other homeschoolers' setups and school rooms. Great post! We have the cube storage shelves, too. Target is the best! We actually got these at the NEX, but they are the same thing as what target carries hehe.